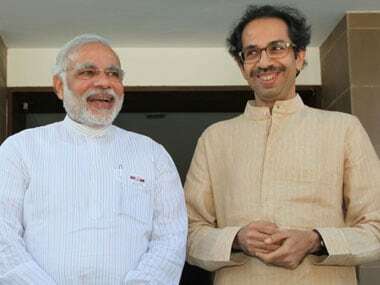 Mumbai: The Shiv Sena on Monday stepped up its attack on the BJP and slammed its chief Amit Shah, saying that his party may win in case of snap polls in Maharashtra and also get its presidential nominee elected but wondered whether it would be able to save the day in Kashmir. "Amit Shah and his party's eyes are on mid-term polls in Maharashtra. But instead of mid-term poll results, we are worried about what will happen in Kashmir and in violence-hit Darjeeling," the Sena said in an editorial in party mouthpiece 'Saamana'. The Sena's scathing attack on Shah came a day after he met party president Uddhav Thackeray at the latter's residence 'Matoshree'. It said the biggest question today was till when should we keep counting the number of martyred security personnel. "Amit Shah says Maharashtra government will last its five-year term. But will our Kashmir remain on India's map?" it questioned. The Sena said that Jammu and Kashmir Chief Minister Mehbooba Mufti was openly supporting "youth attacking" soldiers and was blaming jawans for the present situation in Kashmir. "When the Sena talks about farmers and takes a nationalist stand over issues, attempts are made to teach us a lesson. But not a word is spoken against her (Mehbooba) by the BJP. On the contrary they are supporting it," it said. "Maharashtra shouldn't be a priority. The situation has gone out of hand in Kashmir and Darjeeling where innocents are being killed. 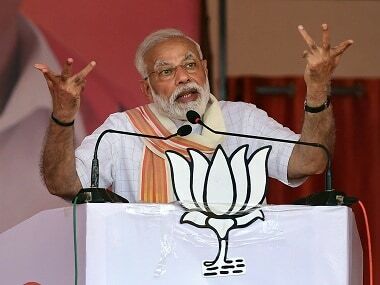 "One may have political differences with (West Bengal CM) Mamata Banerjee but nobody should try to take political advantage of the situation there," it added. 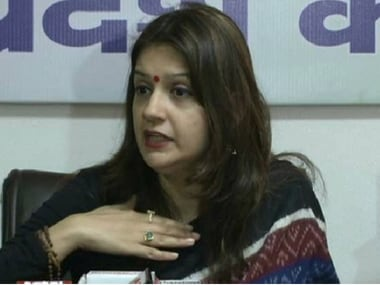 "Whatever has to happen in Maharashtra mid-term polls will happen. Amit Shah says they will form the government. You will get their president elected. You will win all elections. But will you be able to save Kashmir?" it asked. 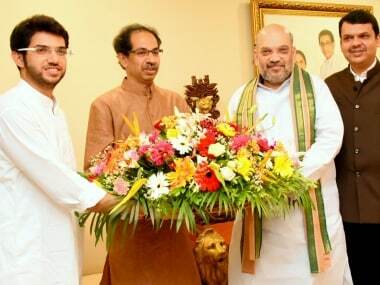 Shah had on Sunday ruled out any snap polls in Maharashtra but said the party was ready in case of such an eventuality.